Come Back Soon to See our New Online Store! LAST CHANCE $350 REEF FLOAT! 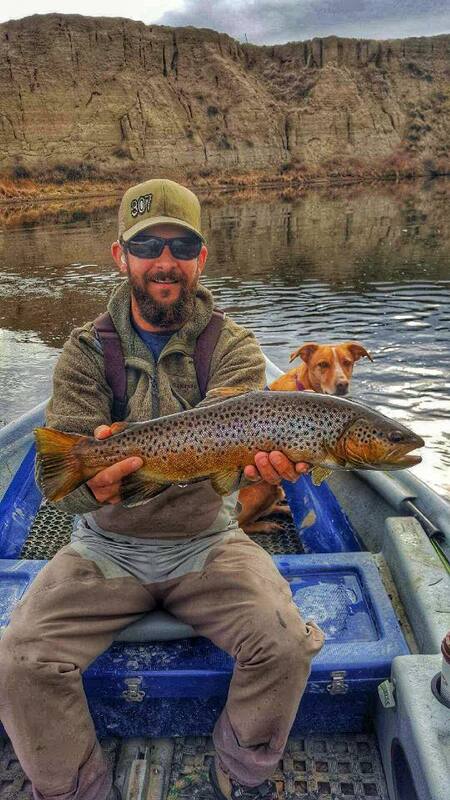 Had a one day float trip, half day wading fishing/casting lesson and stayed in a cabin four nights. Everything was excellent! 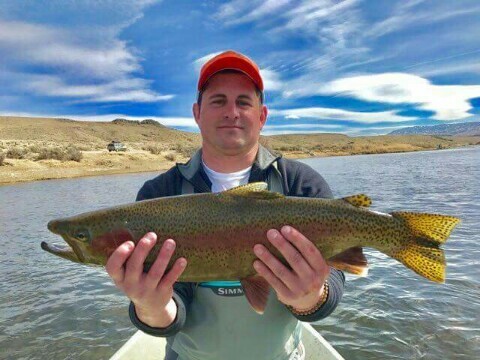 Jason is an excellent guide, and the cabin was very well furnished and in great shape. Fishing right outside the door! 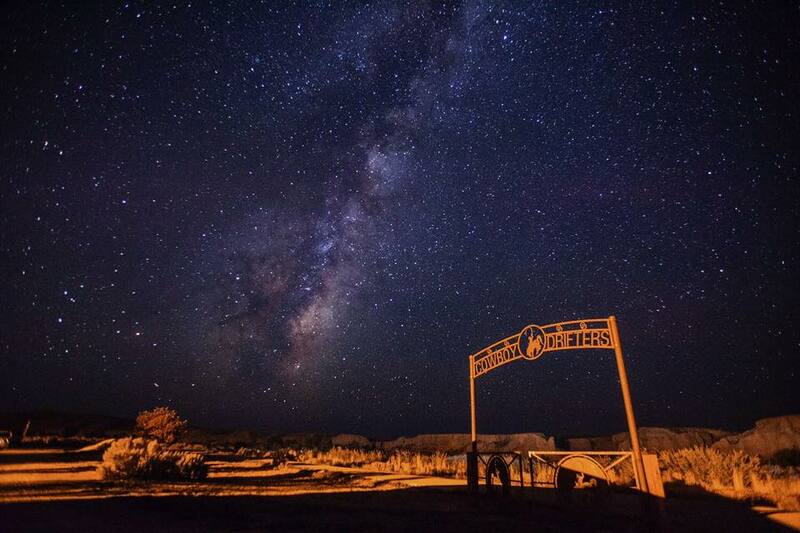 Would not hesitate to recommend Cowboy Drifters to anyone. 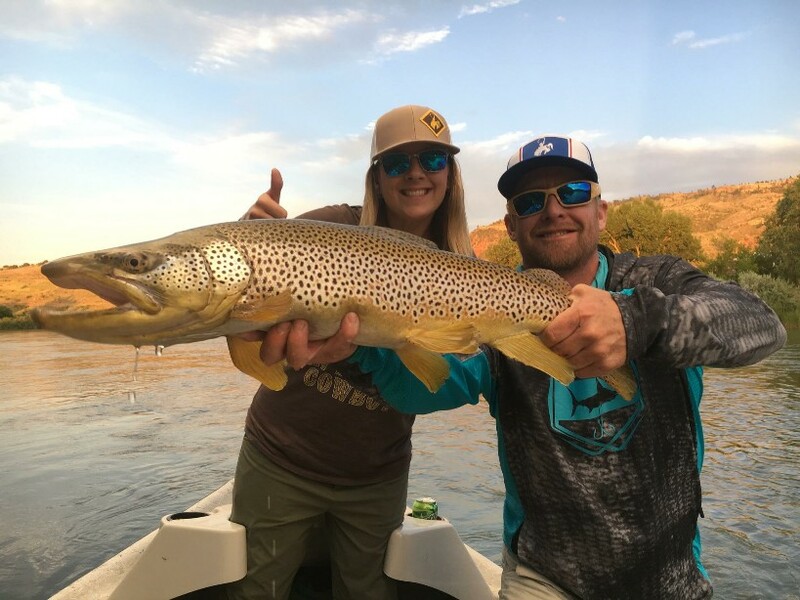 Everyone at Cowboy Drifters worked very hard to make sure we had a trip that was unforgettable and Amazing. The lodging was great, very clean, and we’ll put together. Our guide Ryan was incredible. 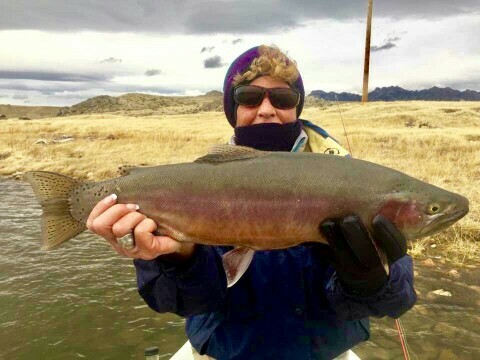 We caught trophy size and beautiful color trout all day. Thank you so much for an awesome trip. 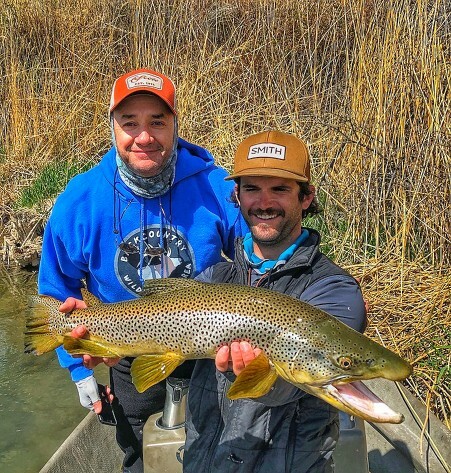 I’ve been fishing the North Platte with Jason for many years. I have my own boat and float it often. But I still hire Jason to take me. 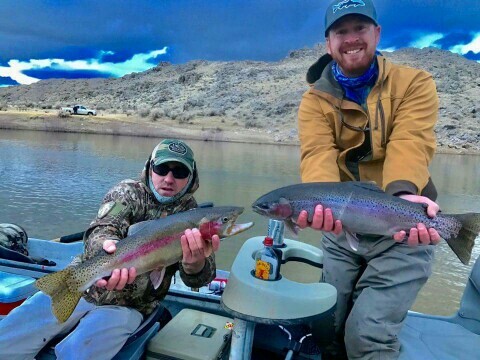 He’s right when he says that nobody else knows the river better or works harder than Cowboy Drifters! I learn something new every time I go with him. 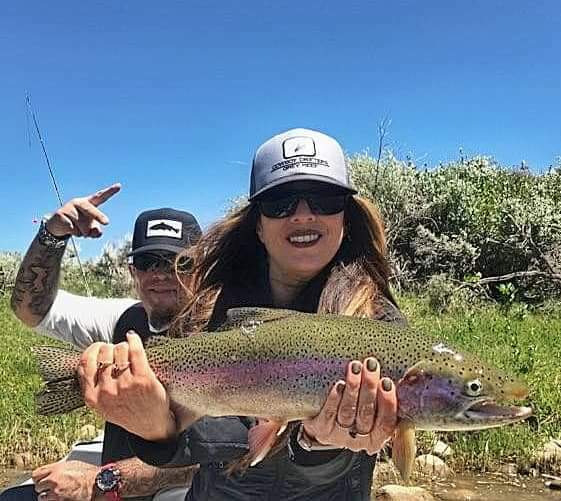 Always catch fish. Learn something new every time and always have fun. Keep up the good work! I am a full time fishing guide in the Florida Keys and have fished on many places with other guide services. 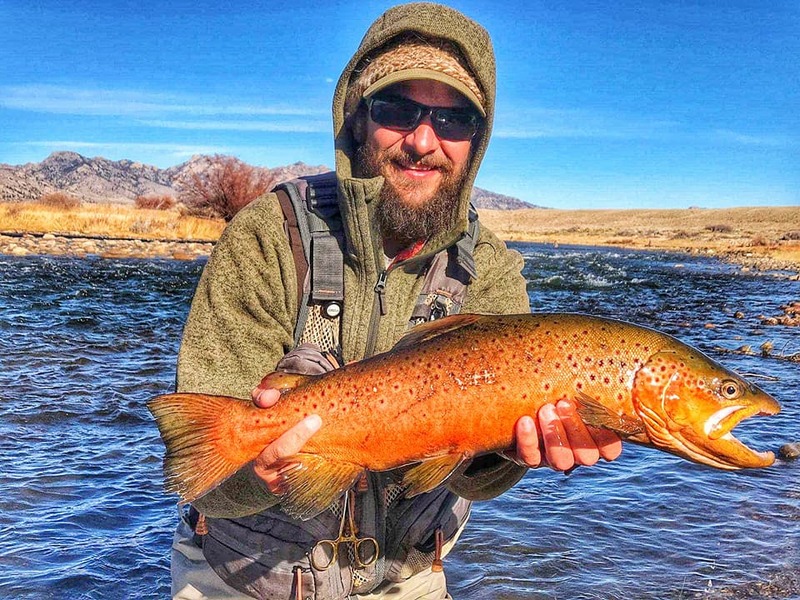 Jason Hamrick and his cabins at Cowboy Drifter Outfitters made for an amazing experience. 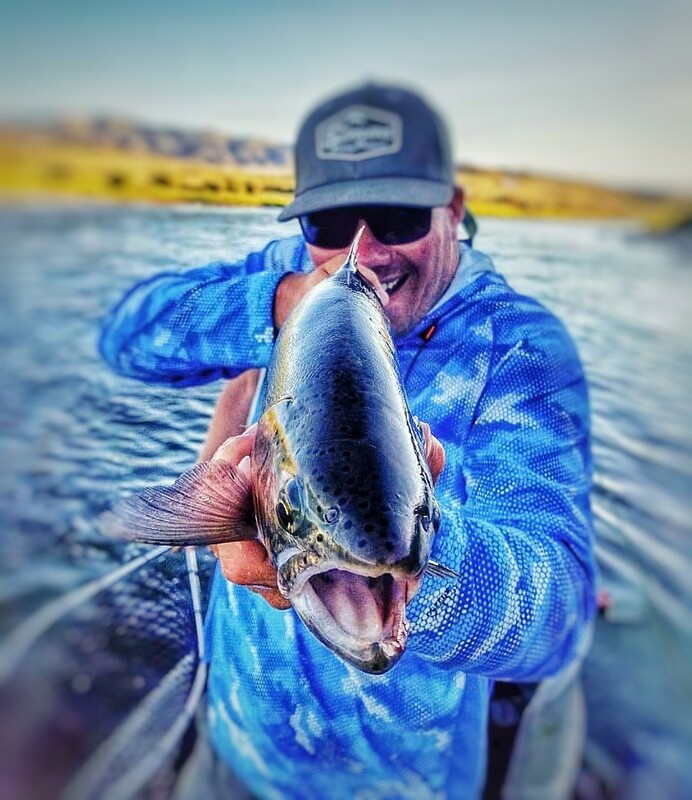 His drift boat is a brand new Clacka Craft drift boat and its roomy, stable and well laid out. 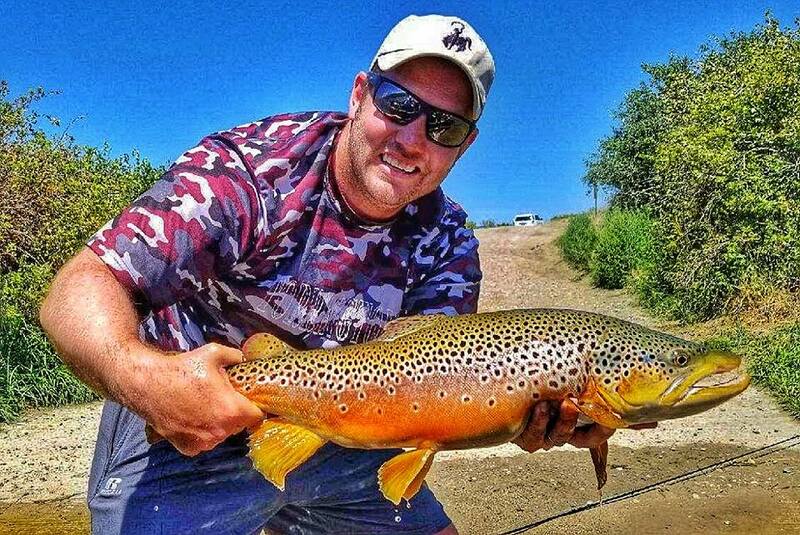 His fly tackle is top notch too. 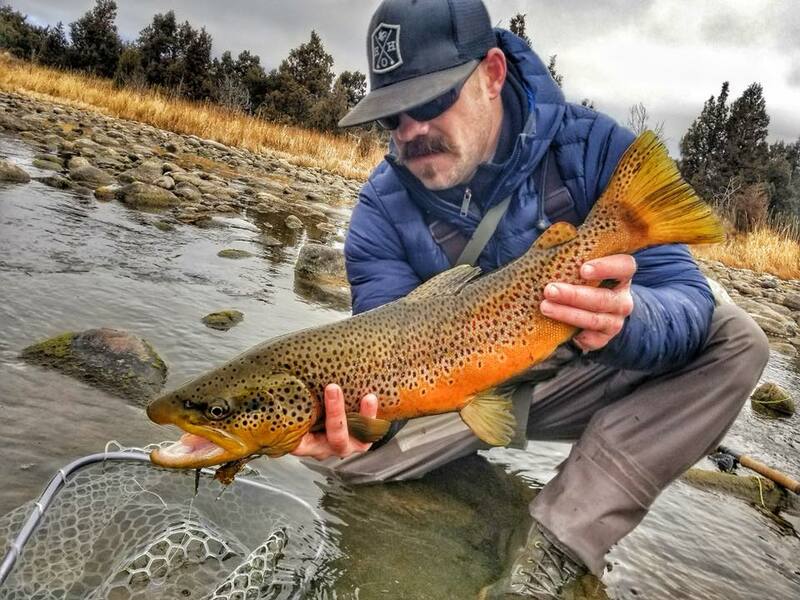 I used a few of his Orvis fly rods and they are magnificent. 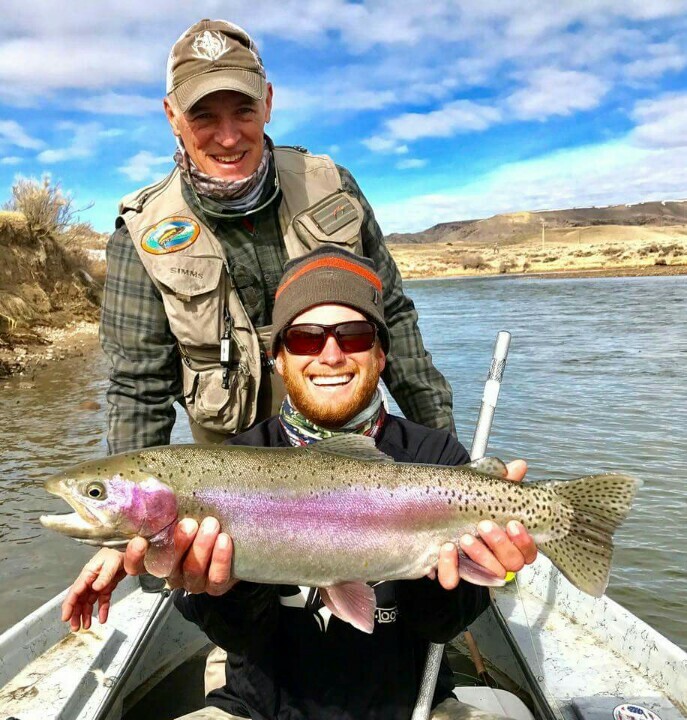 If you want a quality guide who is patient and helpful as well as very knowledgeable of the river book a trip or four with him. 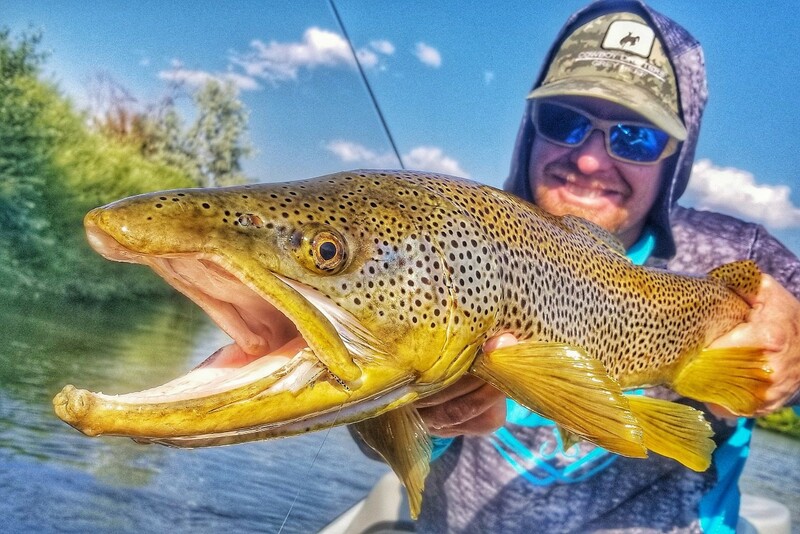 I had an unbelievable day with guide Craig Kwiatkowski. 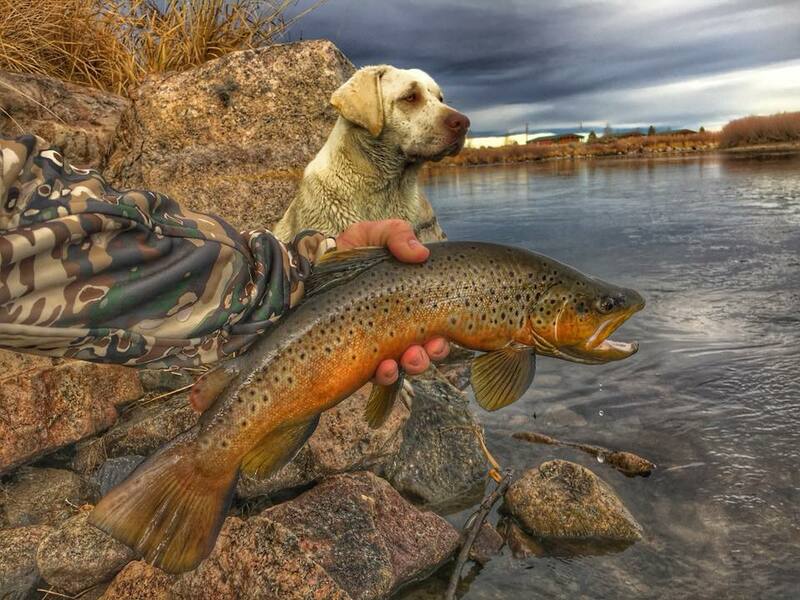 He was extremely patient with me and very knowledgeable about the river. No doubt about it, he put me on the fish! We caught enough to lose track of the count. 1st class all the way! 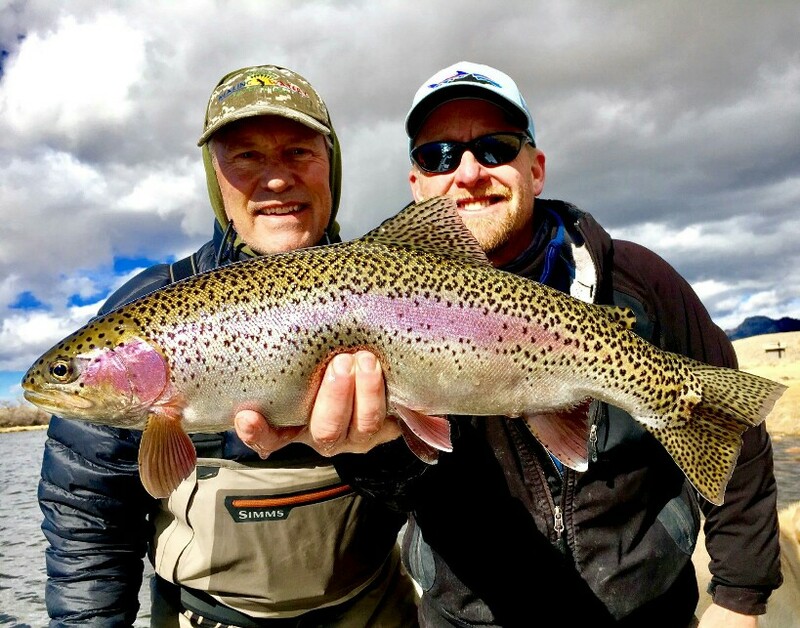 Thank you Craig and Cowboy Drifters for a trip of a lifetime! 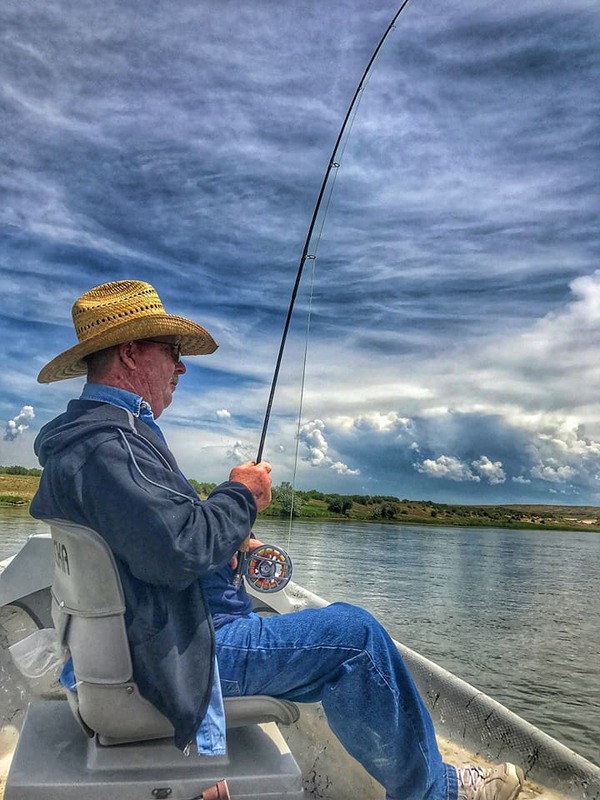 I have fished with Jason Hamrick and Cowboy drifters several times. 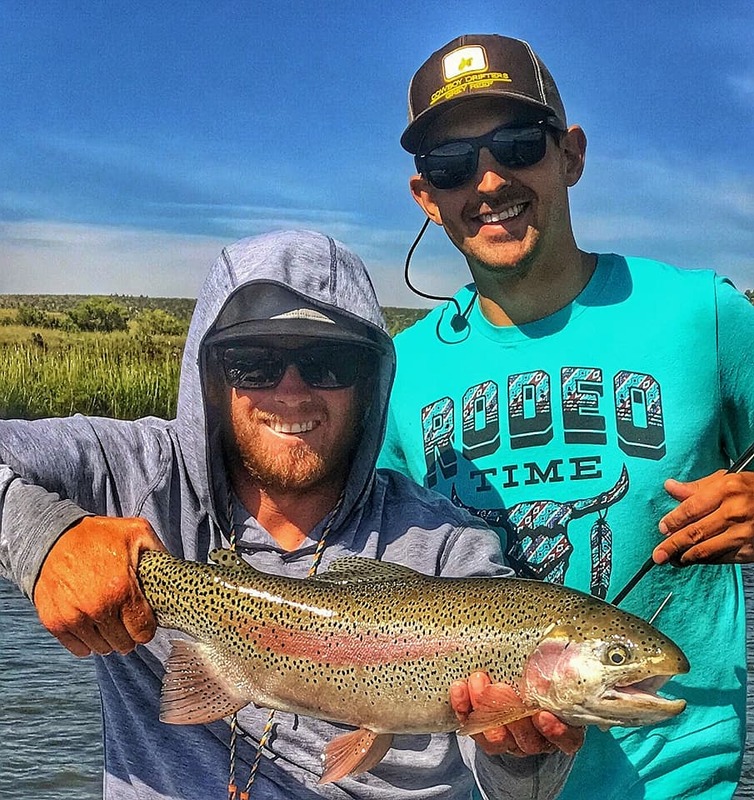 These boys know how to catch fish. Jason has a passion that exceeds expectations. These folks know the North Platte. Enjoyed every moment of the trip! 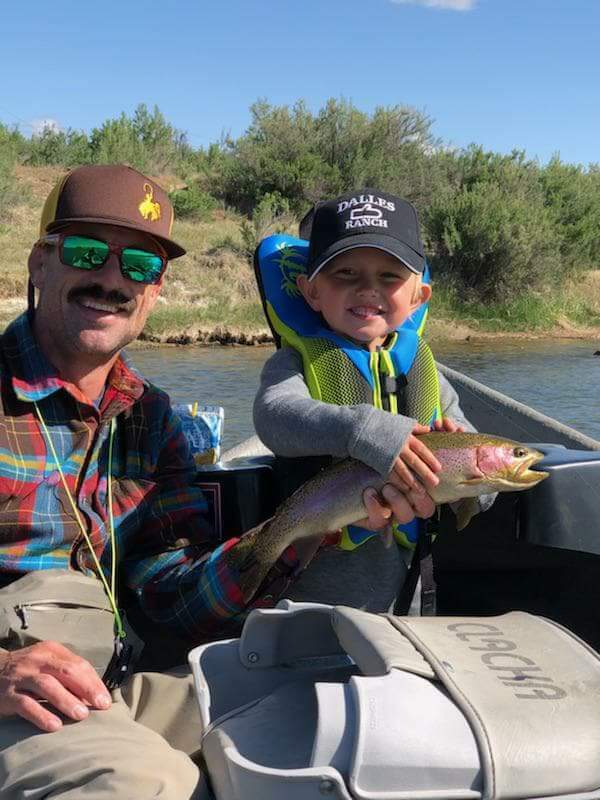 Despite 40+mph W all day we caught fish and had a great time. Then relaxed streamside in their top notch cabins! Our Guide Craig worked his tail off in the wind. Can’t wait to go back! 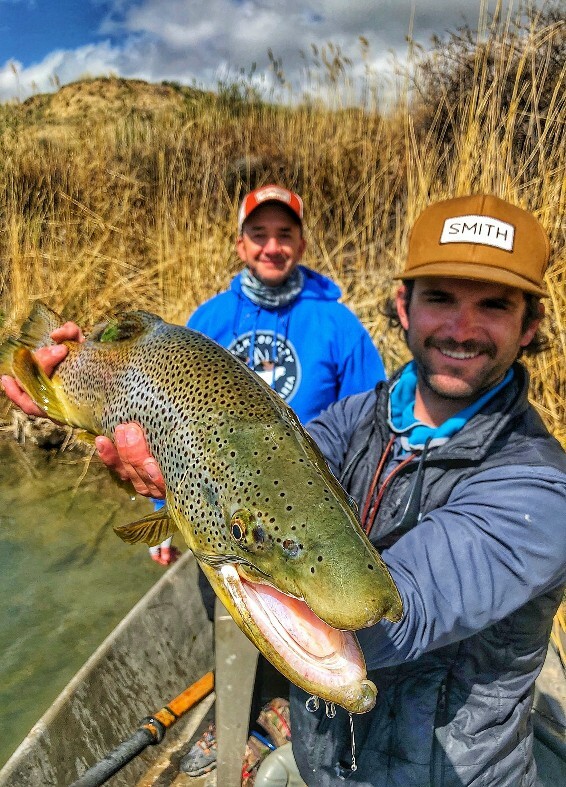 My group of five had an awesome Sunday fly fishing the North Platte with Cowboy Drifters! 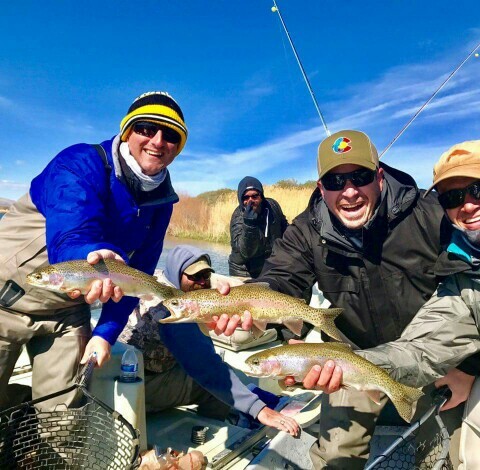 Our guides, Luke, Luke, and Andy, had great local knowledge and fun personalities; they turned an iffy weather day into a perfect day of fishing. 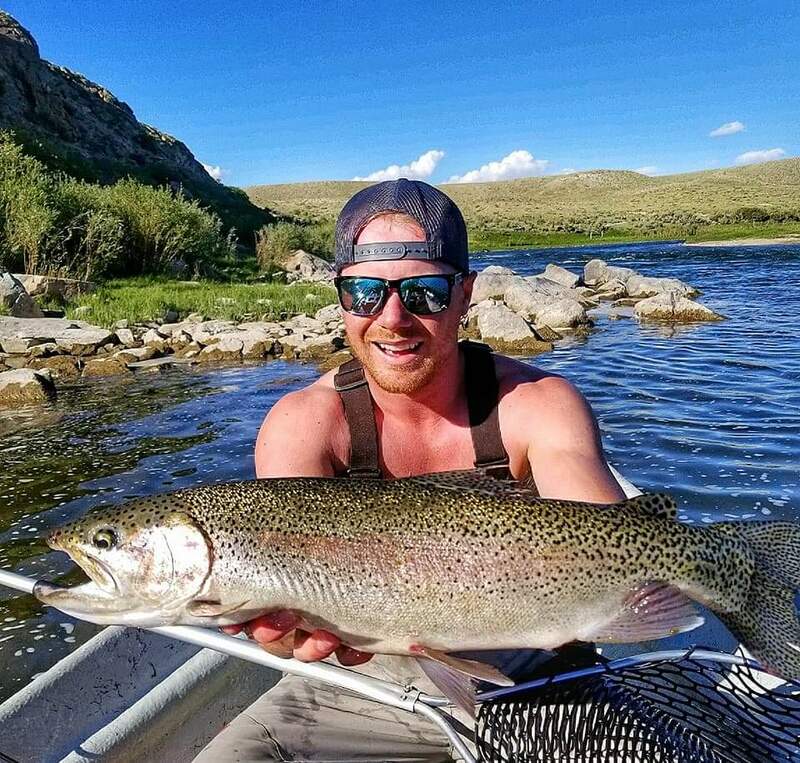 The successful float trip was sandwiched between nights in one of CD’s well-equipped riverfront cabins. 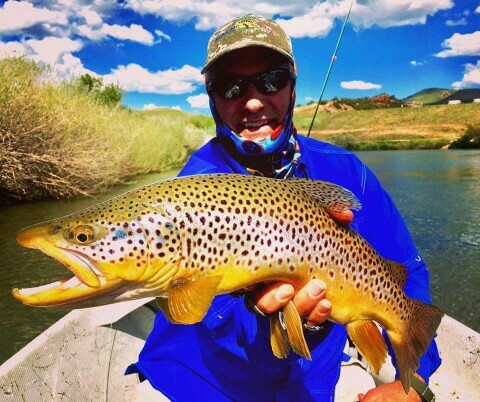 We’re all looking forward to fishing with Cowboy Drifters again! 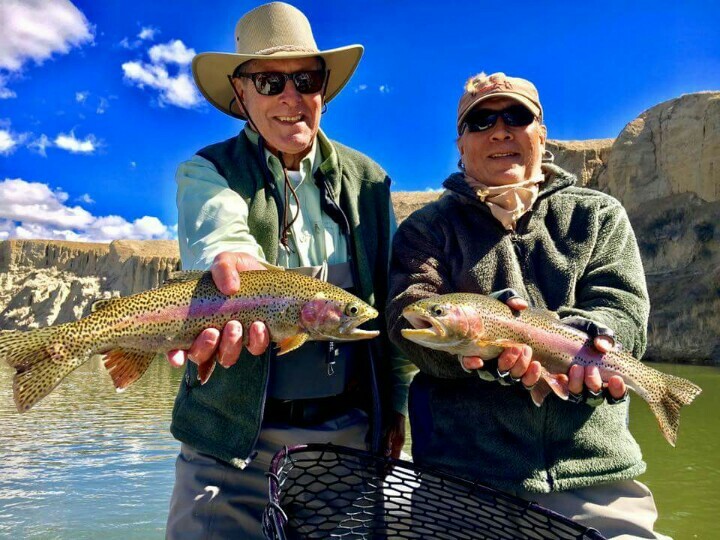 Our fly fishing guide service and riverfront cabins are situated near the Lusby boat access, which is the first public take-out of the Grey Reef float between Casper and Alcova, Wyoming. 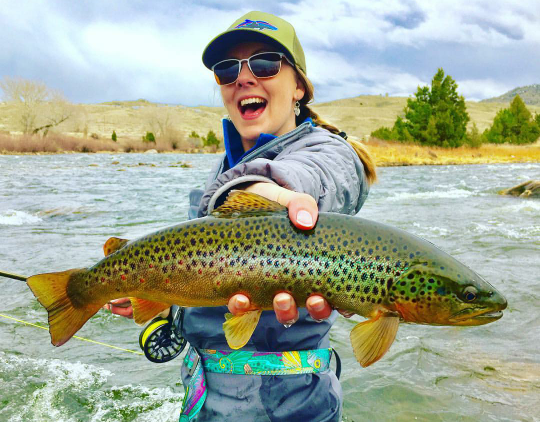 Quality fishing 365 days a year is why American Angler Magazine named Wyoming’s North Platte River America’s #1 Big Fish Destination! 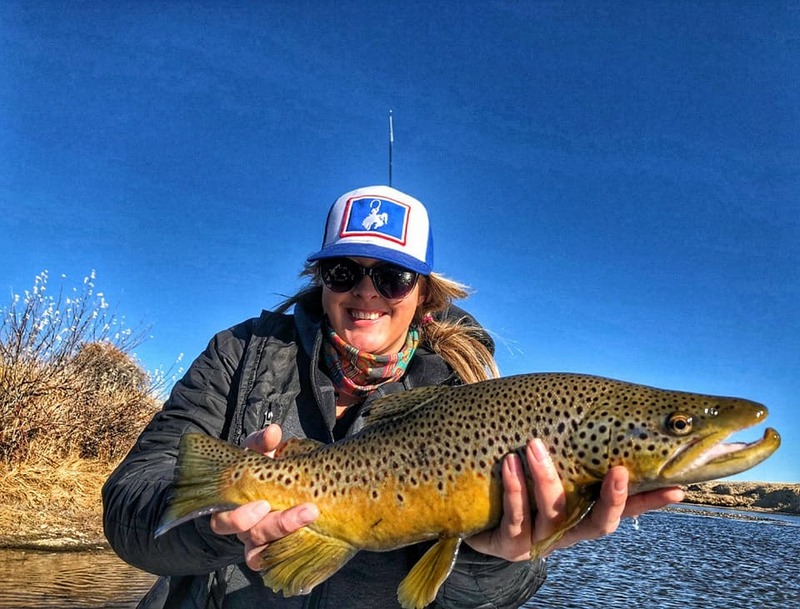 When floating the North Platte, the difference between catching a few fish and losing count of how many you caught has more to do with the skill of the oarsmen than the angler. 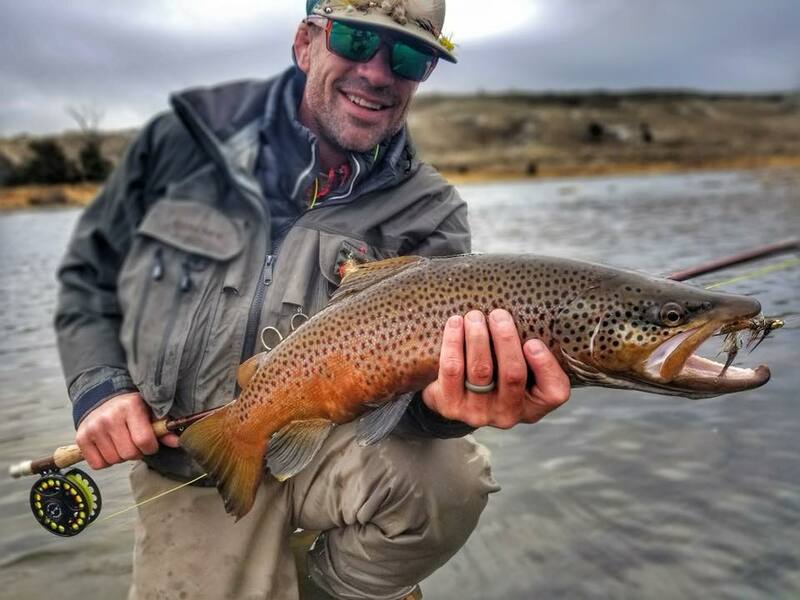 Owner and Guide, Jason Hamrick, has a 23 year reputation for hiring & training the best Wyoming fly fishing guides on the North Platte! 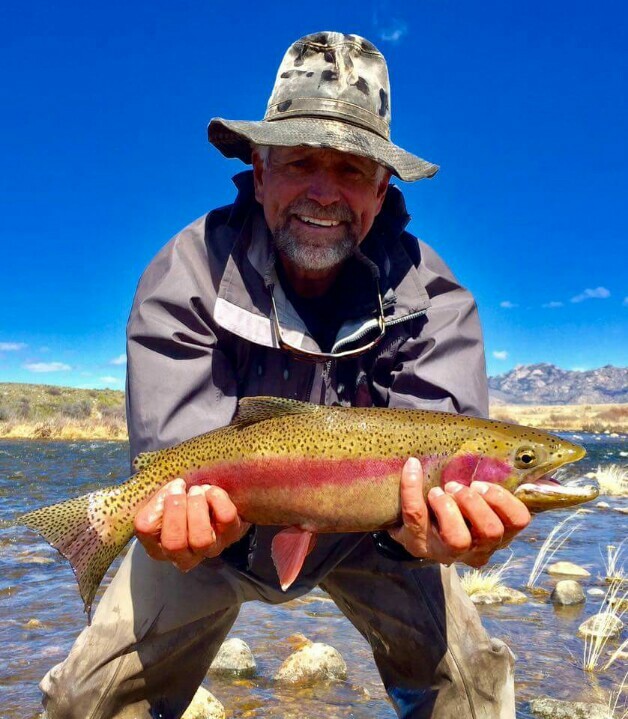 In that time, we have developed a proven system of fly fishing these waters that will send you home with a collection of new fly fishing skills & big fish pictures to prove it. 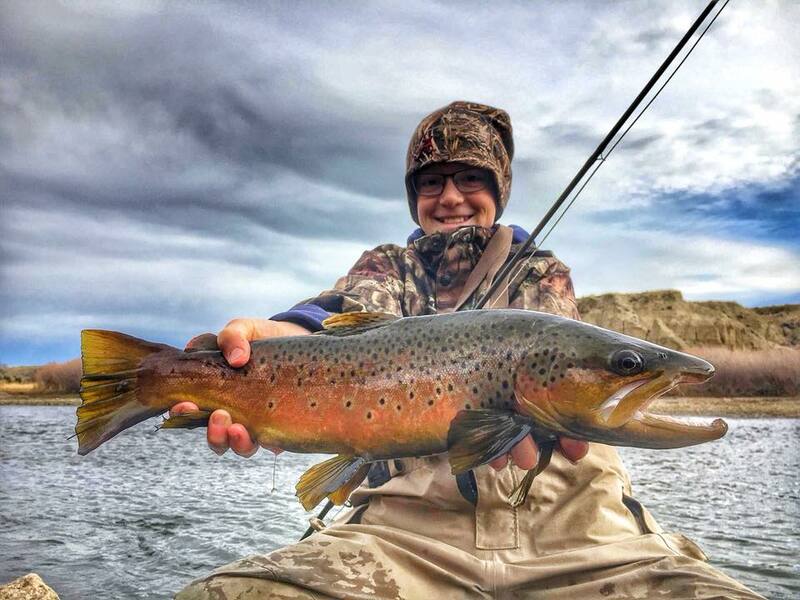 We offer North Platte River Guides to take you on float, wade, and spey fishing trips. 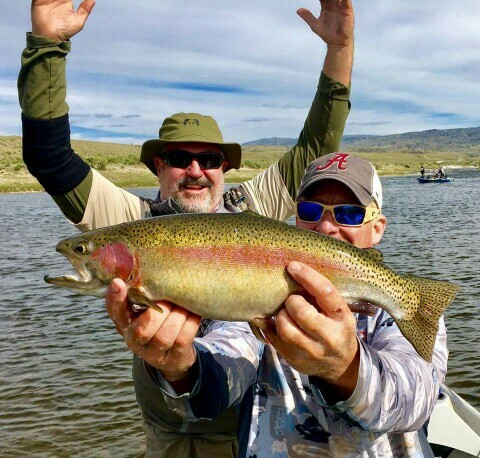 We are happy to customize a fly fishing adventure to meet your needs, schedules, and levels of experience. Let us help you celebrate a special occasion or entertain your employees or clients! Whatever the reason, it is our mission to give you the best guided experience possible, guaranteed! 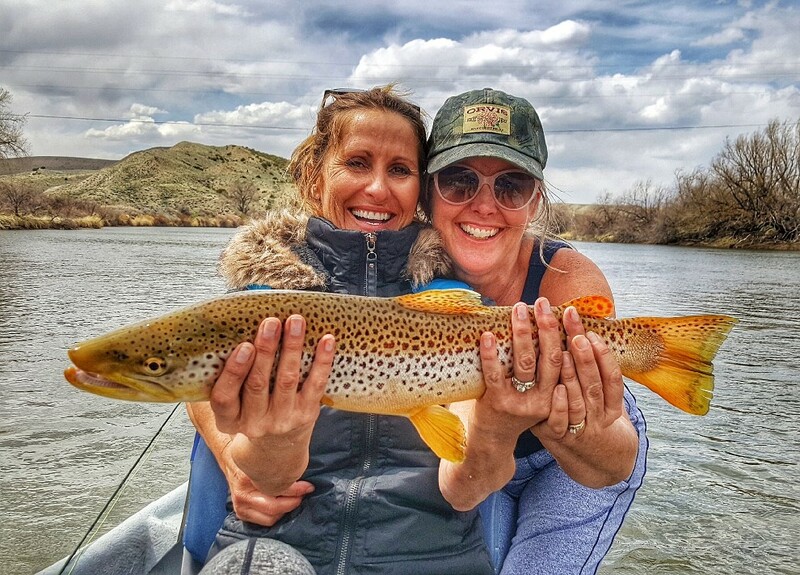 In addition to guided fishing trips, we offer rowing instruction and guide training. 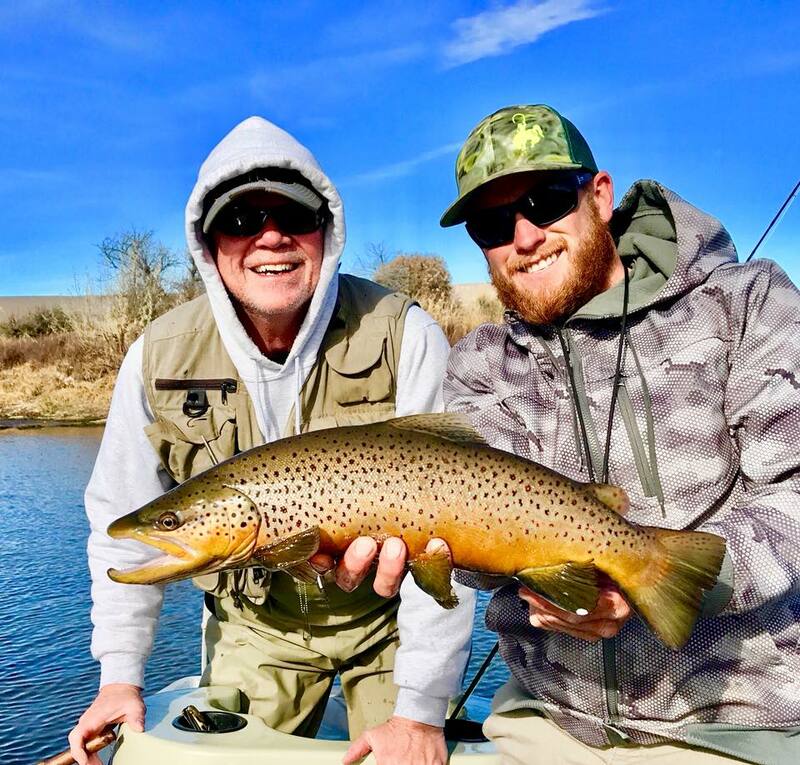 Cowboy Drifters can instruct you how to keep the boat where the fish are, even in that Wild Wyoming Wind. 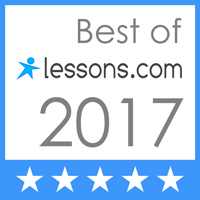 We will teach you the skills to navigate any water while reading the runs. 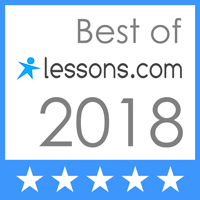 It takes time to master the oars. 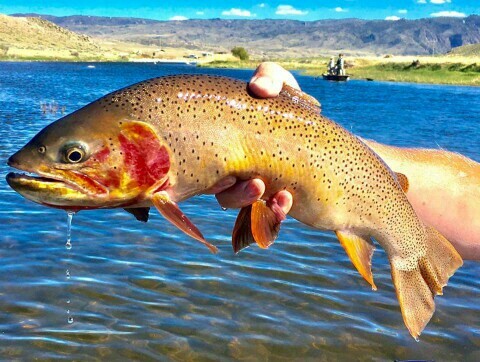 We can help you get started targeting trophy trout on your own! 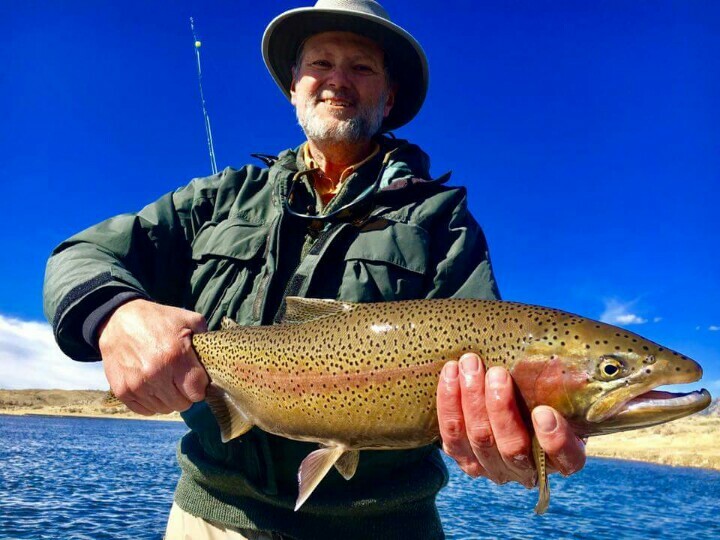 Our 4 riverfront cabins near Casper, WY are conveniently located next to the Lusby Boat Ramp, 9 Miles downstream of The Grey Reef Dam in Alcova, WY. Finish a float and walk to your cabin as the Lusby Cliffs glow from the setting sun. Grill a steak on your front porch and relax as a million stars light up the night sky. 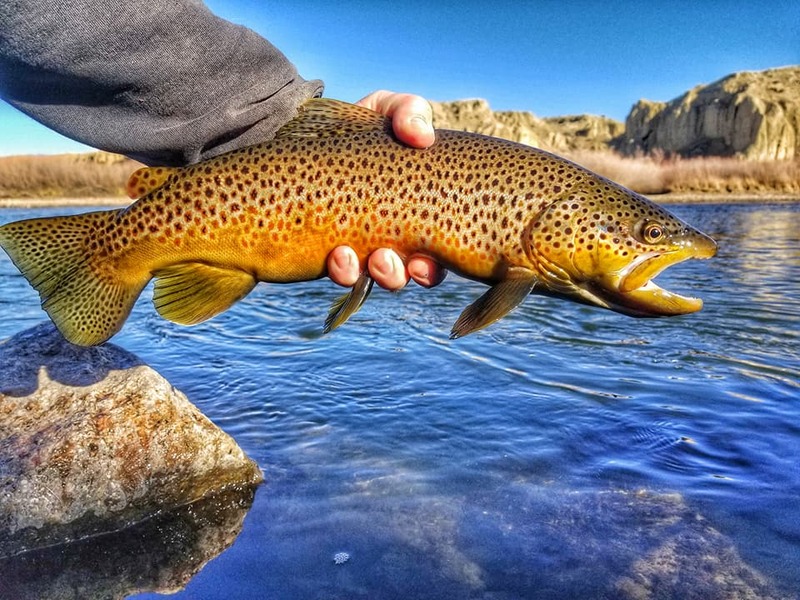 Wake up on the peaceful riverside prairie and walk out your front door to fish some of the best runs in all of Wyoming. 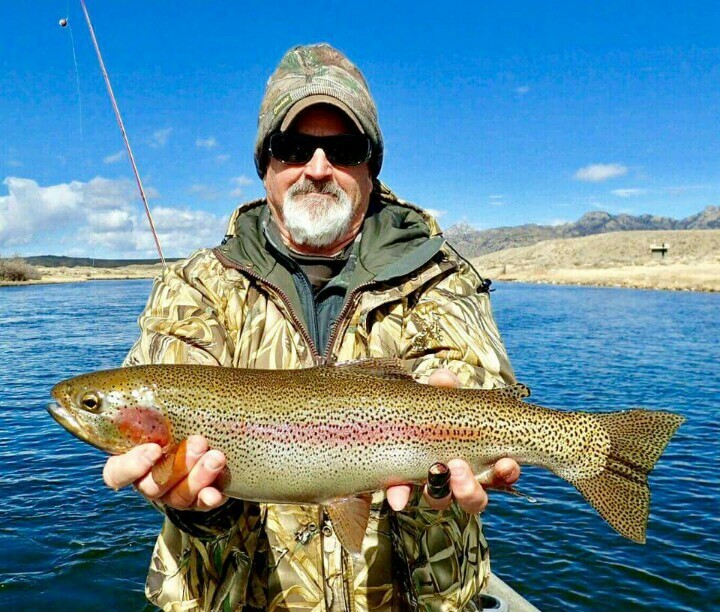 You do not have to fish with us to enjoy the tranquil lodging. These small riverfront homes are open to the public for rental. 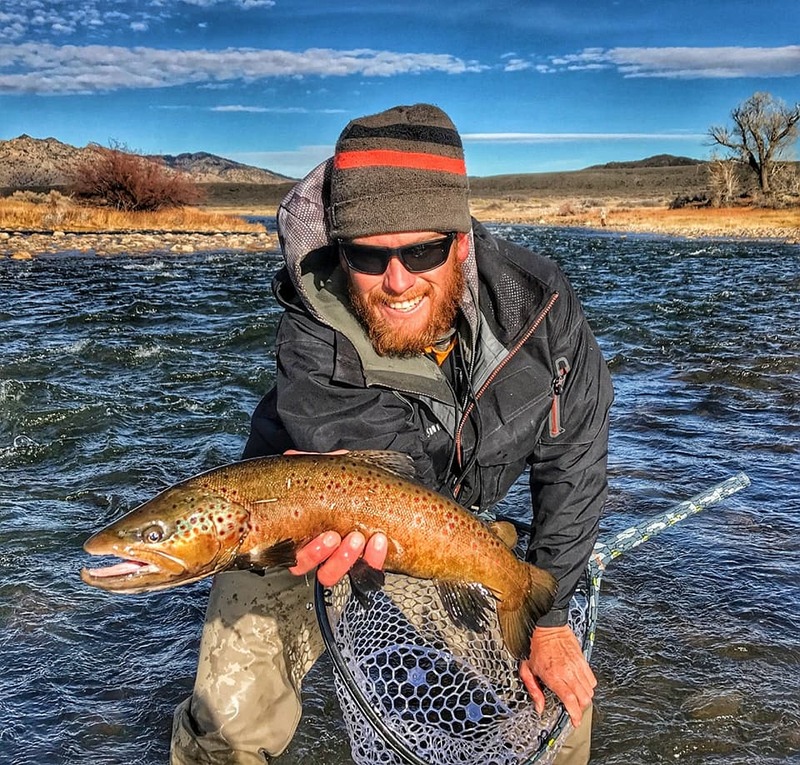 Whether you like boating & kayaking, hunting & wingshooting, skiing or snowshoeing, or you just want to get away, we cordially invite all to come appreciate what Wonderful Wyoming has to offer!